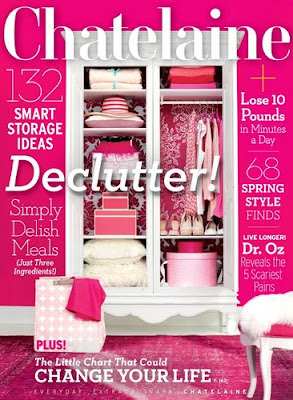 My first big-timey magazine piece is on newsstands right now in Chatelaine's May 2012 issue. (It's probably my first big-timey piece as a direct consequence of the fact that I'm apt to use phrases like big-timey.) Page 151. Run out and buy it now. Or, if you're feeling lazy and poor, you can just click on over to my portfolio site to read the pixelated version. And, of course, if you missed reading about my pageant adventures the first time around, they're all right here in reverse chronological order. Thanks for all the high-fives and support. It's actually not a new picture--just one of the recycled ones from my pageant days.